Liberation can be a wonderful feeling. And viewers are sure to be reminded of that fact as they sit in cinemas starting tomorrow and behold “Break Out,” the rip-roaring new in-cinema video for Turtle Wax created by ad agency O’Keefe Reinhard & Paul Chicago. The Turtle Wax video will be screened in theaters showing “Furious 7,” a new action flick starring Vin Diesel that debuts nationwide Friday. Car enthusiasts are legion in America, and this new Turtle Wax execution, overseen by OKRP Chief Creative Officer Matt Reinhard, is sure to appeal to their fascination with all things automotive. The video, shot on location in a vintage aviation hanger in Los Angeles and in the California desert, introduces viewers to a heroine who obviously looks to be all business as she marches through the hanger where a number of vintage cars are stored seemingly just gathering dust instead of kicking it up, as the ad copy so astutely paints the situation. The female keeps walking as the ad copy urges viewers to protect their cars not to make them look nice, but rather to look mean. 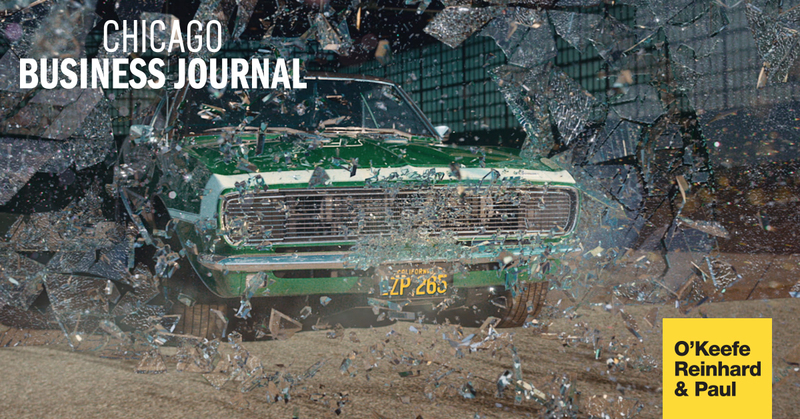 Finally, as the woman starts running ever more assertively through the hangar, she finds what she’s looking for, a vintage 1968 Camaro. She hops in, turns on the motor and takes off — crashing dramatically through a glass wall as she “frees” the car from the musty storage facility.